Student loans are becoming a serious problem for those who choose to attend secondary education and further advance their career. Unfortunately, consumers are often lured in or forced to sign private student loans with incredibly high interest rates or get stuck dealing with debt collectors when their student loans are sold off. Furthermore, the interest on these loans can make repayment impossible and keep the consumer, or co-signer, in a financial hardship for years! Fortunately, if you are struggling with these issues, Fields Law Firm can help. 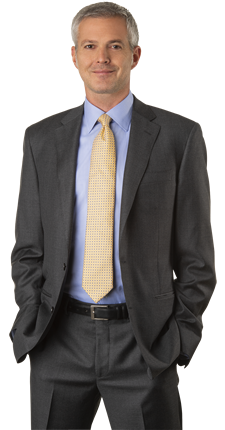 There is no out-of-pocket cost to you when hiring a Consumer Law attorney at Fields Law Firm. We offer free initial consultations and our work is done on a contingency fee basis, which means that we advance all your case costs and you do not owe any money for attorney fees or costs unless we win your case. Most importantly, the Fair Debt Collection Practices Act (FDCPA) requires violators to pay successful plaintiffs’ attorney fees. Therefore, we only get paid if we win and when we win, we get paid by the party who violated the law. First, Federal student loans are unforgiving, and it is generally a good practice to resolve any issues directly with the servicer. Second, federal student loans do not have a statute of limitations. Third, and most importantly, if your federal student loans are in default, the Department of Education can refer your account to the Department of Treasury for collection by an offset of your federal tax returns. The Department of the Treasury also has the authority to withhold the entire amount of your tax refund to satisfy any amounts owed on the debt. When is my student loan considered in default? The creditor (typically the Department of Education) may send your account to a collection agency. The debt collector can charge collection fees in addition to what you already owe on the student loan. Collection fees for federal loans can be between 18%-40% of the loan balance. The creditor may send your account to a collection agency. The amount the debt collector can charge in collection fees in addition to what you already owe on the student loan is set by your promissory note, the contract governing your student loan. Yes. You have the right to sue a collector in a state or federal court within one year from the date of the legal violation. If you win, the judge can require the collector to pay you for any damages you can prove you suffered because of the illegal collection practices, like lost wages and medical bills. The judge can require the debt collector to pay you up to $1,000.00 in statutory damages, even if you can’t prove that you suffered actual damages. You also can be reimbursed for your attorney’s fees and court costs. A group of people also may sue a debt collector as part of a class action lawsuit and recover money for damages up to $500,000.00, or one percent of the collector’s net worth, whichever amount is lower. Even if a debt collector violates the FDCPA in trying to collect a debt, the debt does not go away if you owe it. First, contact Fields Law Firm and speak with a Consumer Law attorney about your legal rights. Second, respond to the lawsuit, either personally or through your lawyer, by the date specified in the court papers to preserve your rights. What Should I Do If I Am Being Harassed By Debt Collectors or Being Pursued For A Debt That I Do Not Owe? The first thing you should do if you are being harassed by debt collectors or being pursued for a debt that you do not owe is contact Fields Law Firm and speak with a Consumer Law attorney about your legal rights. Our attorneys will review your situation, answer your questions, and help you understand your legal options. If you are dealing with a defaulted student loan and a debt collector is contacting you, Fields Law Firm can help you stand up for your rights and assist you. Contact one of Fields Law’s Consumer Law attorneys for a free consultation and see how we can help you!